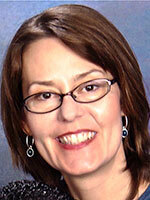 Mary Bart is managing editor of The Teaching Professor and Academic Leader. Previously, she served as managing editor of Faculty Focus from 2008 to 2018. Under her leadership, the Faculty Focus subscriber base increased from 10,000 to more than 125,000, and the publication was awarded the MERLOT Faculty Development Classics Award in 2017. Mary got her start in journalism as a reporter for a small community newspaper publisher in upstate New York. She later served as editor-in-chief of Counseling Today, the monthly magazine of the American Counseling Association in Washington, DC. Please send article submissions to Mary at mary.bart@magnapubs.com. 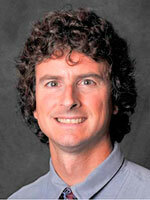 John Orlando is the associate director of the faculty resource center at Northcentral University. He has published more than 75 articles and delivered over 50 presentations, workshops, and keynotes on online education, teaching with technology, and social media. He is a passionate education consultant, educator, and educational administrator helping teachers learn how to use technology to transform their teaching practice and improve student performance. He served as editor of Online Classroom prior its merger with The Teaching Professor and remains the lead writer and editor for articles related to online learning here on the site. He is also an advisor to the Distance Teaching & Learning Conference. Please send article submissions related to online teaching and learning to Dr. Orlando at jorlando2001@gmail.com. 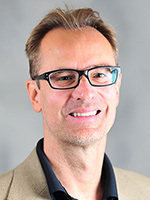 Pete Burkholder is a professor of history at Fairleigh Dickinson University in Madison, NJ, where he also served as founding chair of the Faculty Teaching Development Program from 2010-17. FDU has recognized him as both Teacher of the Year and Distinguished Teaching Faculty, and he served as a teaching fellow in the University of Wisconsin System. He is on the national advisory board of the Society for History Education and is a consulting editor for College Teaching. 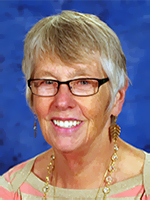 Burkholder has published extensively on teaching-related topics. He’s had three articles make the annual Top 10 list of most popular articles in Faculty Focus, and he is the recipient of the American Historical Association’s Gilbert Award for the best article on teaching history. Gary R. Hafer is the John P. Graham Endowed Teaching Professor and professor of English at Lycoming College (PA), where he teaches writing to students in all disciplines. 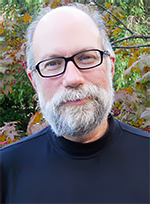 He is the author of Embracing Writing: Ways to Teach Reluctant Writers in Any College Course (Jossey-Bass, 2014), and over the years his articles have appeared in College English, Journal of Developmental Education, Teaching Professor, Faculty Focus, and Computers and Composition. In 2010, Hafer was awarded the Constance Cupp Plankenhorn Alumni Award for Faculty Excellence and earned the Award for Exemplary Teaching from the General Board of Higher Education and Ministry. 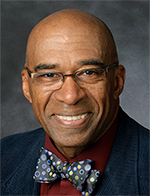 He served on the advisory board of The Teaching Professor Conference from 2013–2015. 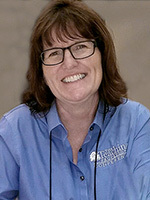 Angela Heath has taught in higher education since 1992. As an independent education and learning consultant, she works with university faculty and library staff to design and deliver engaging instruction for students of diverse backgrounds and experiences. In her consulting work, she has designed more than 100 online courses for several large multi-campus academic institutions. Through her writings and presentations on topics in education and instructional design, she focuses on best practices and learning strategies in online classrooms. Wren Mills is the assistant director for the Center for Innovative Teaching and Learning at Western Kentucky University (WKU), where she provides both in-person and virtual training and consultations for faculty who wish to better their skills with technology in the classroom and online teaching; this includes Quality Matters training. She also serves as a facilitator for the Graduate Assistant Teaching Institute (GATI), the Part-Time Faculty Teaching Institute, and other Professional Learning Communities for faculty at the university. In addition, Mills consults with faculty and staff on integrating High Impact Practices (HIPs) into their courses and programs. 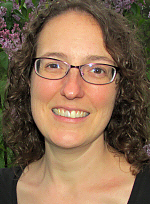 Marie Norman is associate professor and director of the Innovative Design for Education and Assessment (IDEA) Lab at the Institute for Clinical Research Education in the University of Pittsburgh’s School of Medicine, where she spearheads online and hybrid educational initiatives. A cultural anthropologist by training, Norman has taught in higher education for more than 20 years, consulted with faculty from a wide range of disciplines, and led workshops and seminars on teaching and learning at institutions in the U.S., Colombia, Qatar, Australia, and Russia. Norman is co-author of the book How Learning Works: 7 Research-Based Principles for Smart Teaching. She continues to find anthropology an excellent springboard for understanding different disciplinary cultures and their approaches to teaching. Dave Yearwood, PhD, CSIT, is a professor in the Technology Unit of the School of Entrepreneurship at the University of North Dakota. He has been teaching in higher education for more than 25 years, including graduate education courses in curriculum development, assessment, adult learners, and instructional technology. Yearwood’s research and publications (including a book chapter on Podcasts) on instructional technology focus primarily on electronic pedagogy–how faculty infuse presentation or other technologies into their practice to connect and engage students, enhance their understanding of course content, and promote dialogue that leads to a critical examination of a topic/subject under examination. Rebecca Zambrano can’t stop researching, thinking, and writing about what sparks passion for learning in people of all ages. She designs learning that taps people’s creativity and experience to move the learning process through critical thinking and into deeper territory. In her role as the director of online faculty development at Edgewood College, she has designed and taught courses in many formats since 2004. She currently designs professional development for faculty across all content areas, mentors faculty colleagues, leads assessment processes, and helps guide the direction of college-wide faculty development efforts. 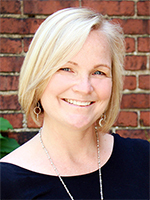 Rebecca is an expert in distance learning leadership, institutional assessment, instructional design, and student motivation.